​​Acupuncture is one of the longest established forms of healthcare in the world. 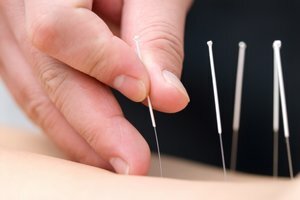 Acupuncturists are trained to use subtle diagnostic techniques that have been developed and refined for thousands of years. ​The focus is on you as an individual, not your illness, and all symptoms are seen in relation to each other. Treatment involves the insertion of very fine needles into specific points on the body to affect the flow of your body’s qi, or vital energy. body’s healing response and to restore physical,emotional and mental equilibrium. Treatment is designed to affect your whole being as well as your symptoms so, as the condition being treated improves, you may notice other health problems resolve and an increased feeling of wellbeing. During the first appointment, a detailed case history is taken, pulses felt on each wrist – which correspond to the meridians of qi energy in the body, to understand the overall balance of the patient. The Acupuncturist can tell which meridians are under or over active before treatment, and pulses are checked during and after treatment so as to know when the body is becoming more balanced. Tongue diagnosis is also used to gain an ‘inside look’ into the body – tongue coating, colour and cracks are all very useful diagnostic tools for the acupuncturist. A growing body of evidence-based clinical research is discovering how the body responds to acupuncture and its benefits for a wide range of common health conditions. A lot of people have acupuncture to relieve specific aches and pains, such as osteoarthritis of the knee, headaches and low back pain, or for common health problems and sports injuries. Other people choose acupuncture when they can feel their bodily functions are out of balance, but they have no obvious diagnosis. And many have regular treatments because they find it so beneficial and relaxing. Acupuncture points are located at precise places along interconnected pathways that map the whole body, including the head, trunk and limbs. The most commonly used acupuncture points are on the lower arms and legs.